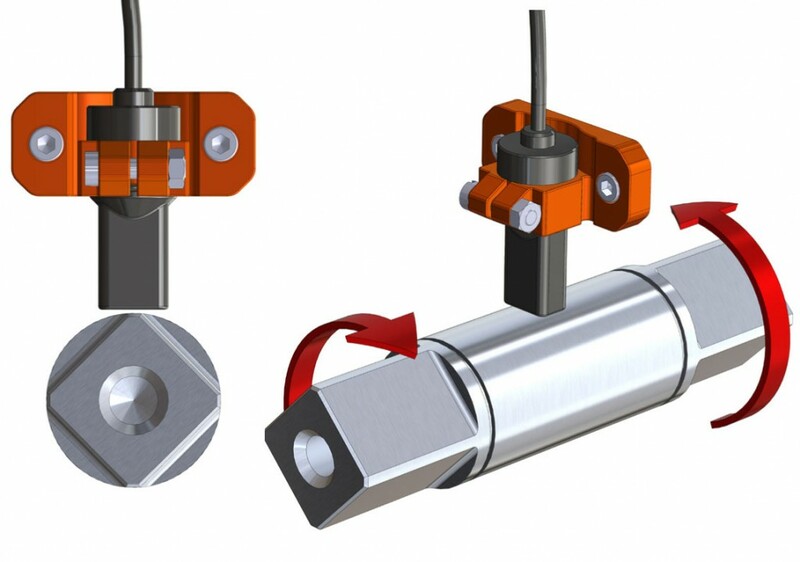 The magnetic principle based, non-contact height sensor system from Torque And More measures the distance between the sensing module and a reference device. The system has a large measurement range of above 1,0m and a high signal resolution of 0,1mm. Simply place the sensor module nearest to the location where the measurements should be taken from. The measurements will take place immediately after the sensor is powered-up. There is absolutely no need to attach or to glue anything onto the test shaft. No additional magnetic treatment is required. The Active torque sensor device can measure immediately when placed to any object that has magnetic properties (easy to test by holding a permanent magnet to the test object). The Active torque sensor can be very easily applied to any shaft diameter and can also be taken off easily to be re-used at another measurement location. Active torque sensor can be used on stationary or moving / rotating objects and it is insensitive to humidity, splashing water, oil vapour, non-corrosive oil, dust, rust (limits apply), and any magnitude of physical upset of the test object (shocks or vibrations). The sensor’s signal output can be either a linear voltage (from 0 Volt to +5 Volt) or of a serial digital format. Where space is critical, the sensor electronics can be placed elsewhere so that only the small-sized sensor-head needs to face the test object.